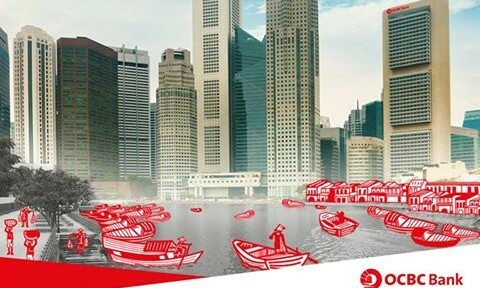 OCBC Bank has confirmed to Marketing that it is speaking to several creative agencies across Singapore ahead of its official creative pitch launching. Marketing understands this is part of its usual review procedure. Currently the bank works with McCann Singapore and the partnership has been one for five years, since July 2011. Koh Ching Ching, head of group corporate communications, OCBC Bank said with the proliferation of new marketing trends and developments in recent years, the bank felt it would be timely to call for a creative agency pitch to explore new ideas that can further elevate OCBC’s brand presence. “We are grateful for the dedication, creative insights and strong support tMcCann Worldgroup (Singapore),have given us. Our partnership with McCann over the years has helped to raise the profile of our brand, and most recently, we developed a new brand and advertising grid that has been positively received for being simple, yet aspirational and effective, in its execution,” said Koh. Marketing understands from sources McCann will not be pitching for the account. McCann has declined to participate in this pitch, and we respect their decision. McCann will serve out their contract as our creative agency of record until the end of the year. In our search for a new creative agency, we are looking for one that will similarly understand our brand values and objectives, helping us further strengthen the OCBC brand. Earlier this year, the bank also appointed Maxus as its media agency of record for its consumer banking services, following a closed-door pitch in October 2015. The bank’s incumbent Carat retained the bank’s subsidiary Bank of Singapore media account. Earlier this year, OCBC Bank launched its OneWealth app, the bank has garnered over 10,000 app downloads. According to the bank the “Download Wealth” campaign has been very successful in getting a top 10 position on the App Store within two weeks of launch. The integrated campaign was a aimed at all Singaporeans, from the novice to the sophisticated investor. Meanwhile, the bank also launched a business banking mobile app that uses biometric authentication and enables smartphone users to perform tasks at the touch of a finger. The long-established Singapore bank is also one of the first 3 foreign banks to have received final regulatory approval from the Central Bank of Myanmar to open a branch in the country. The final licence was awarded on 2 April 2015. Will Pokemon Go be the answer to Singapore's tourism and retail woes? Mindshare and InMobi ink partnership, AirAsia promotes Velaitham to Singapore CEO plus more. ..